If you’re a regular reader of this site, you’re probably aware that HP has recently decided to put its line of webOS hardware to rest, leaving all of the platforms developers wondering what to do next. In response, Microsoft has been offering extensive help to all of the platform’s developers develop apps for Windows Phone 7, which has received a phenomenal response. On Friday, Brandon Watson, Microsoft’s Windows Phone 7 development chief, offered on his Twitter account assistance to all webOS developers who might be looking to move to Windows Phone 7. Instead of directing them to Microsoft’s vast PR team, Watson has decided to help developers directly, allowing them to email him or even call his personal phone number, which he made publicly available a few months back, even before the webOS debacle. So far, this strategy seems to be working, since Microsoft has allegedly received nearly 1,000 emails asking for help porting software to the Windows Phone platform. Microsoft’s strategy is a smart one, and will likely help boost the Windows Phone 7’s current developer appeal. While webOS doesn’t have that many developers in the first place, this stunt might help lure others into giving Microsoft’s solutions another chance. In order to make sure this happens, Microsoft is making all resources available, ranging from developer documentation and tools to even free phones. Watson’s generosity will hopefully allow Microsoft to hit the nearly-achieved 30,000-app-mark on its apps Marketplace. Last week, HP dropped many jaws across the technology industry by announcing its intention to completely reinvent itself. As part of this shift, the company’s largest one in the last decade, HP disclosed its plans to completely scrap its line of webOS devices, comprised of smartphones and a tablet that were made to directly compete with Apple, as well as sell off its computer division. After the transition, HP plans to focus on developing software and online services. 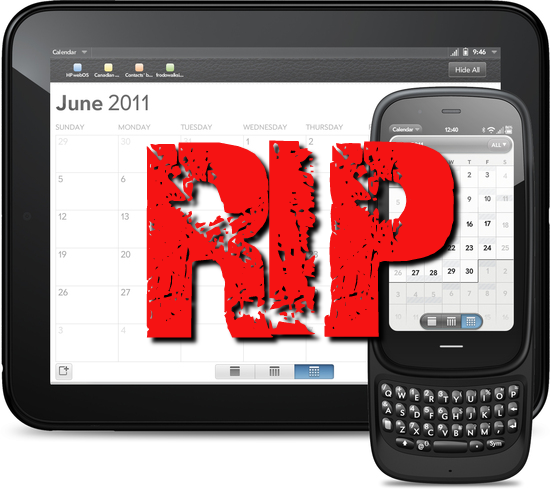 While webOS wasn’t killed off entirely, and HP claims it plans to license it off to third-party hardware vendors, adopting a similar model to the one used by Android, such an unpopular platform is very unlikely to ever be picked up by any major vendor. Indeed, most developers clearly aren’t taking the chance and are looking into other options. Who can blame them?